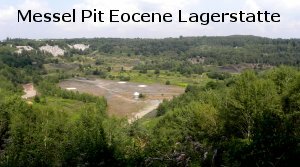 The so called Messel Pit (also called the Messel oil shales) is a world famous fossil Lagerstätte of Eocene age (about 47 million years ago) that is some 20 miles from Frankfurt, Germany. The area’s oil shales were actively mined in the 19th century. 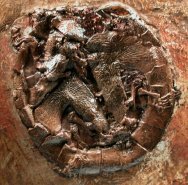 The fossils from Messel are extraordinary due to magnificent preservation, including complete articulation and preservation of soft tissue, even fir, feathers and skin. Stomach contents, embryos and color have also been found preserved. The fossils come from water laden sediment, and require special processes to remove and transport, including embedding them in resin. Messel is also an exceptional fossil site due to the diversity of organisms found, including a wide variety of mammals (e.g., bats, kopidodons and other rodents, leptictidiums, creodonts, anteaters, tapirs, hedgehogs, and many more) as well as marsupials and several early primates. 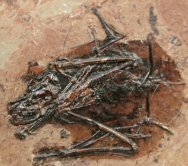 Many bird fossils have been recovered, including early forms of ostrich, predatory hawks and owls, and other birds related to hummingbirds and sandpipers. Reptiles are well represented, including crocodiles, alligators, snakes, salamanders, frogs, turtles and lizards. Tropical, subtropical and aquatic plants are found as well as algae and bacterial. Fish and insects dominate the diverse fauna. The Messel fauna and flora comprise an entire ecosystem and food chain, are thus of significant scientific importance (leading to the current designation of the Messel Oil Shales as a UNESCO World Heritage site in December 1995). Not surprisingly, only some two per cent of the animals are mammals, as they would have had to be overcome by toxic gases near the lake, or when flying over, in the case of birds. The first fossil discovered was a crocodile in 1975, the consequence of oil shale mining, but meaningful scientific study did not begin until the 1970s when falling oil prices caused discontinuation of mining. 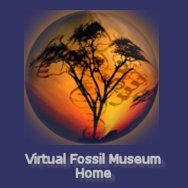 For all intents and purposes, amateur fossil collectors rescued the site from becoming a landfill. Scientists hypothesize that the “pit” was a deep lake into which surrounding terrain drained (this seems apparent when viewing the photo of the area). Slow deposition with high organic content, abundant dead seaweed and absence of bioturbation resulted in anoxic lake bottom ideal for preservation. Bacteria may have mediated preservation of skin tissue morphology by a process known as bacterial mapping, a taphonomy process prevalent in fine preservation of fish and insects in the Crato and Santana formations of Brazil. Periodic algal blooms may have sustained the anoxic and low aerobic bacteria conditions. Scientists also conjecture that tectonic activity led to toxic volcanic gas releases, and die offs of animals who ventured to close to the lake. The lacustrine deposits begin some 60 meters below the local terrain, and the exposure is only about a quarter square mile. It was the early amateur collectors who developed the complex process essential to recover, transport and prepare the Messel fossils. The fossils were embedded in resin in situ on one side and removed, transported, stored in damp conditions, and ultimately sealed in multiple layers of transparent resin, with oil shale removed. The result is a stunning fossil.